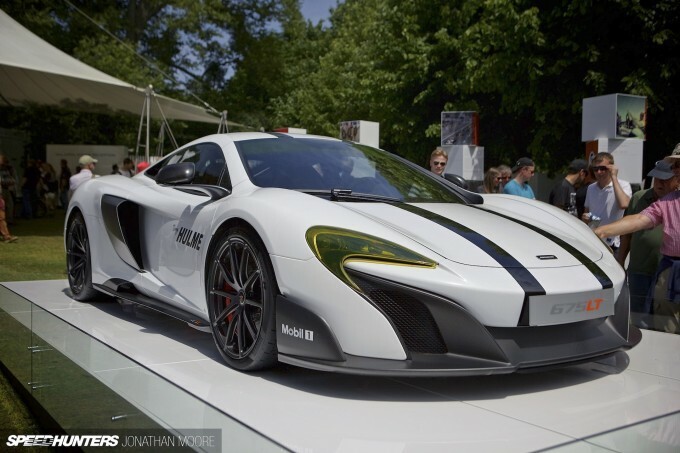 Sportscars and supercars are the norm at the Goodwood Festival Of Speed, but the changing themes and invitees from year to year mean you can never get bored of the line-up. 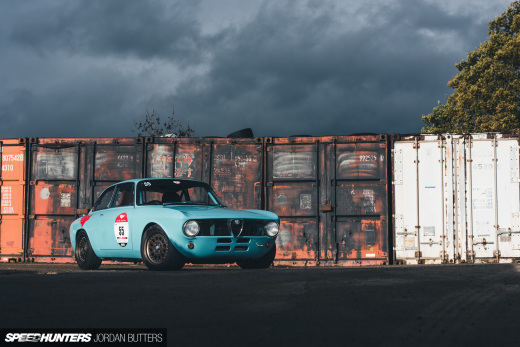 Beyond the noise and bustle of the paddocks and persistent motion of cars moving to and fro, there are areas of relative calm – places where access to priceless cars is even more open than normal. 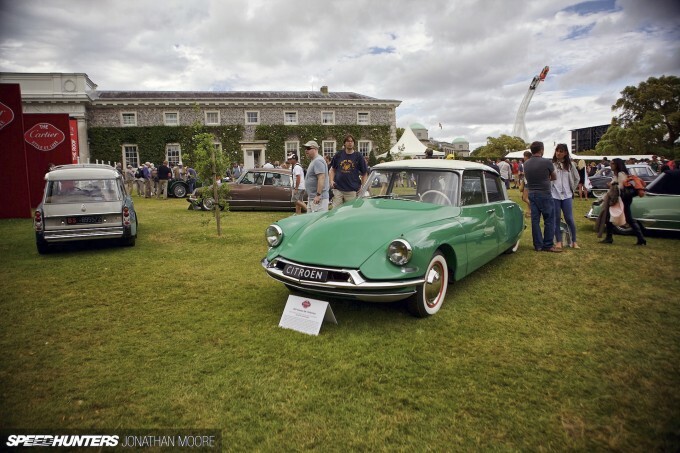 2015 saw the twentieth running of the Style Et Luxe competition, held on the lawn outside Goodwood House’s capacious stable block. A space of tranquility where you could thread your way around some of the most beautiful, the most exclusive or just downright fastest cars produced over the last century. 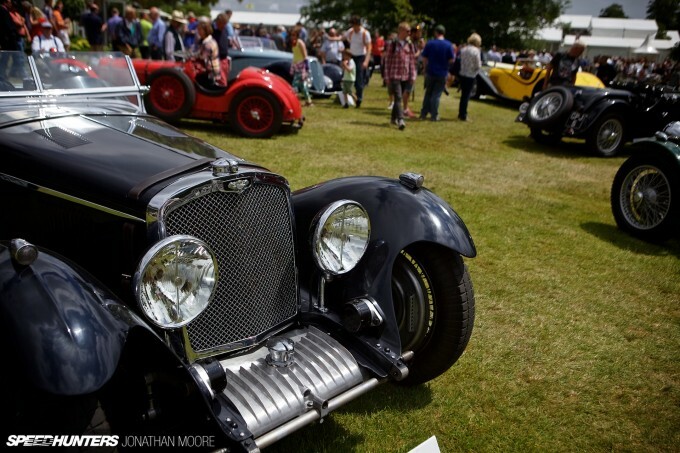 Originally the Style Et Luxe sub-event was held exclusively for coach-built cars built prior to 1940, and although it still features some fine machines from the gloriously avant-garde and outrageous 1930s it’s broadened out in both content and public accessibility. Goodwood has also surely now taken the role of the de facto British Motor Show. 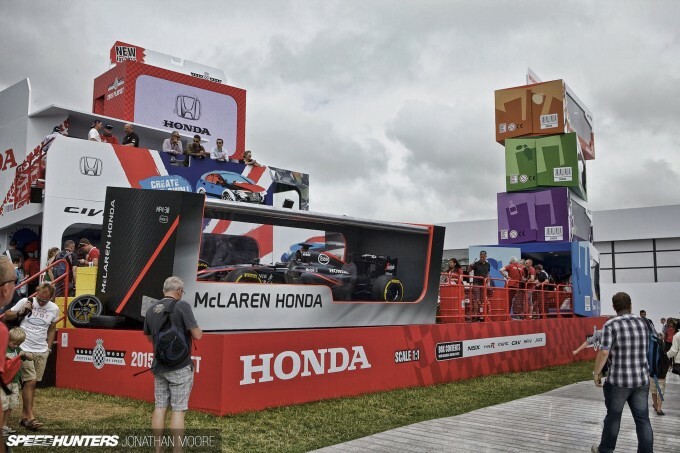 Huge structures that are constructed by manufacturers tower over the southern portion of the Festival site; McLaren have for a couple of years taken up a massive space dedicated to their ever-expanding road car range and many other companies use the Festival to launch new products or concepts. The best thing: you get to see them driven in anger, thrown at the Goodwood hill, and not just sitting pretty on pedestals. 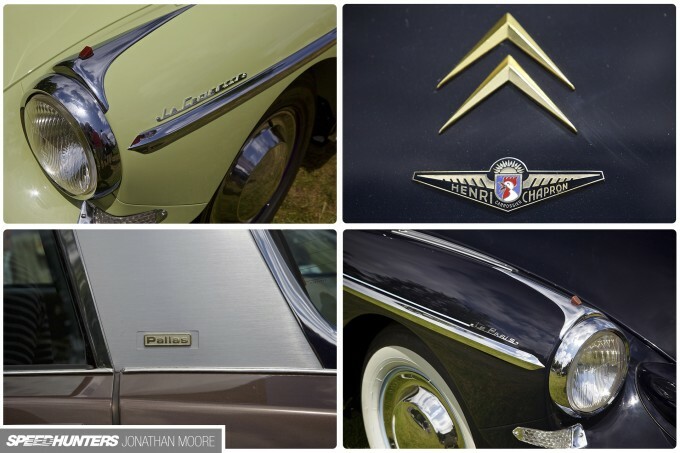 But Style Et Luxe is always a highlight of my visit to Goodwood. 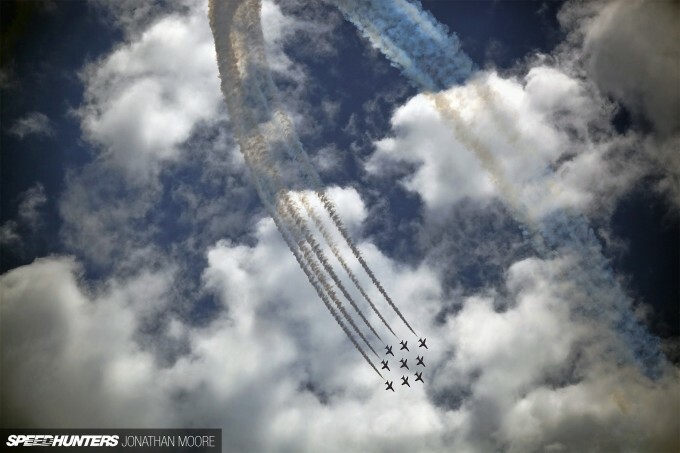 With fast jets above and fast cars below, it’s a feast for all the senses. Because of its location in one of the farther reaches of the Festival site, it has a kind of ephemeral existence. Typically you arrive through a narrow aperture in the fencing to the top corner of the lawn where there’s always some extravagant machine parked up to wow you from the off. There you’ll be faced with scrums of people gathered in clumps around the many dozens of incredible cars. The joy is in just taking your time, letting the crowds part and seeing what magical apparition comes into view. You can check the beautifully produced programme, sure, and spoil the surprise; me, I prefer to simply wander through and let the narrative unfold naturally. This year’s Style Et Luxe included seven categories. My first present would be the heavyweight opening salvo of the 200mph Club: cars that revolutionised the notion of road-going speed machines and the birth of the supercar phenomenon. 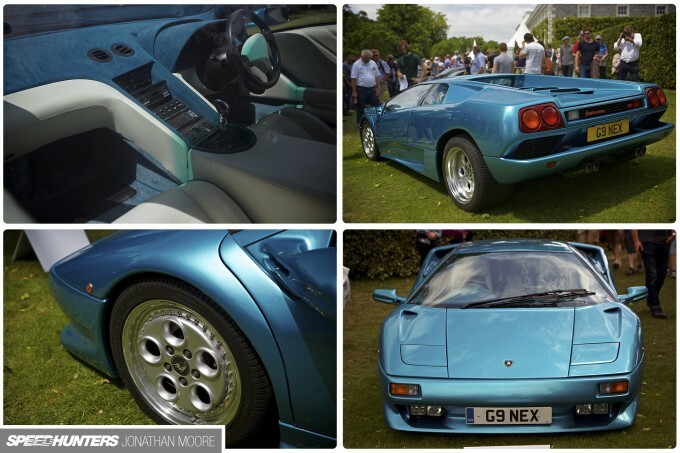 A triple hit of European excess, from the outrageous electro-shock blue of the Lamborghini Diablo VT that greeted me, past the ever-stunning Ferrari F40 and onto the extreme Bugatti EB110SS. 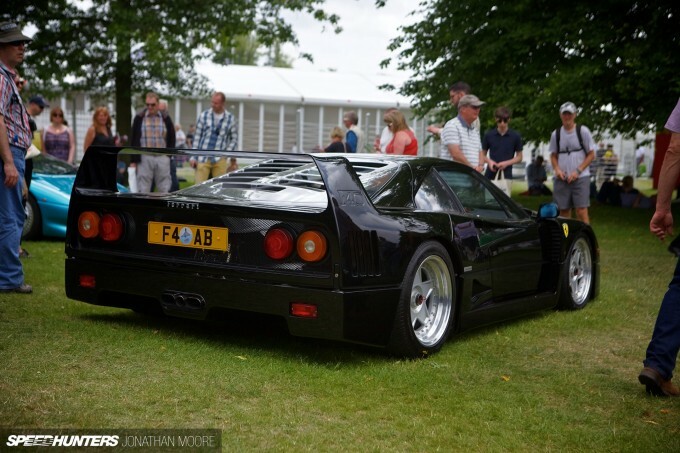 Nothing is ever as it seems at Goodwood, however. Just as when you see, for example, a Porsche 917 it will never be just any old Porsche 917. It will be the car that was victorious at the Le Mans 24 Hours twice in a row and set a distance record that stood for 39 years. So it was with these road warriors. 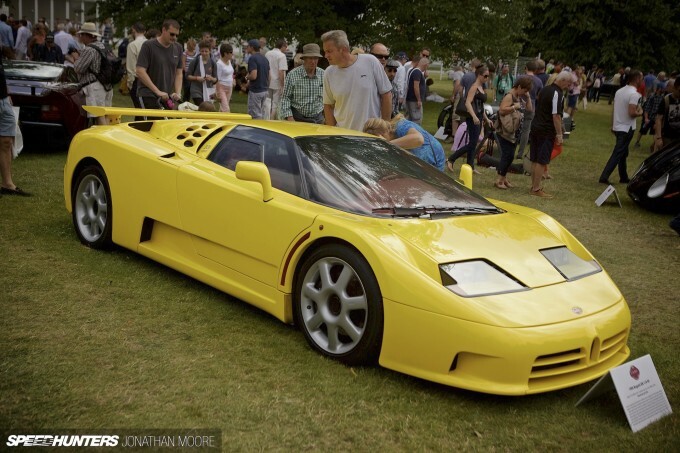 The V12 VT is a unique example in that colour, and heralded the first ever four-wheel drive Lambo; the Bugatti is the lightweight SuperSport version (Michael Schumacher owned one exactly the same, down to the banana-yellow paint). Even the low-line 1991 Jaguar XJ220 was no ordinary example, but a modern rebirth of the original prototype concept. The Jag had been developed with the plan of using an all-wheel drive system mated to a brutal V12 powerplant, but production realities and impending economic recession led to changing down to the twin-turbo V6 developed for the Metro 6R4 Group B rally car and reverting to rear-wheel drive only. 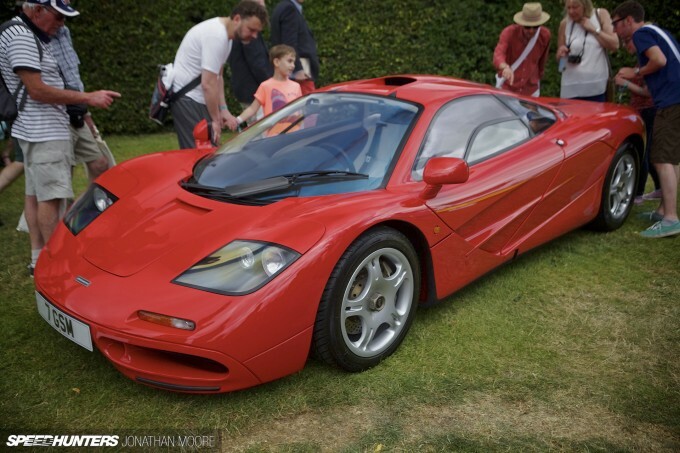 Even so, the XJ220 was briefly the fastest production car on the planet until the McLaren F1 came along. Jaguar specialists Don Law Racing (who have run a dedicated XJ220 engineering team since ’98 and oversee a fleet of Jag Group C prototypes) have reimagined the prototype concept, plugging in a ferocious IMSA-spec V12. The number plate? BIG 220. Yes. It is. Whilst I’m presenting these cars in a vague order, in practice the way you threaded your way through the collection meant that you fell upon cars in a gloriously random order. You would orbit one before a gap in the crowd framed another’s detail to inexorably drawn you in. Several passes through the field unveiled more stunning machinery each time; ‘How could I have missed this last time?’, would be my typical thought. To me this next clutch of cars represents some of the most beautiful cars ever produced, from an era of car design that remains utterly unique. 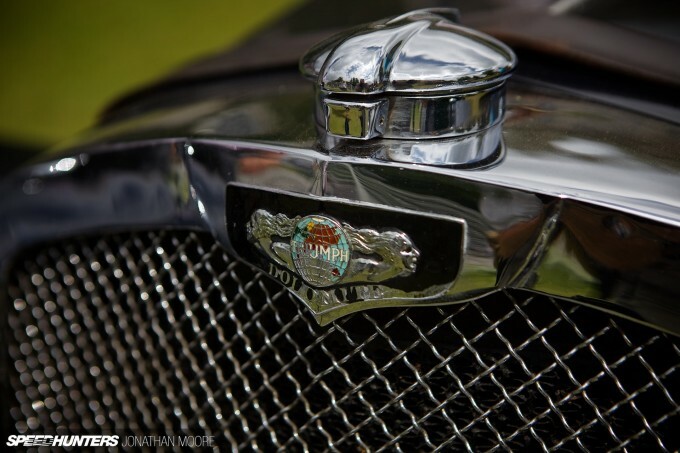 Cars from the 1930s are time capsules of both excess and dedication to fluid design. 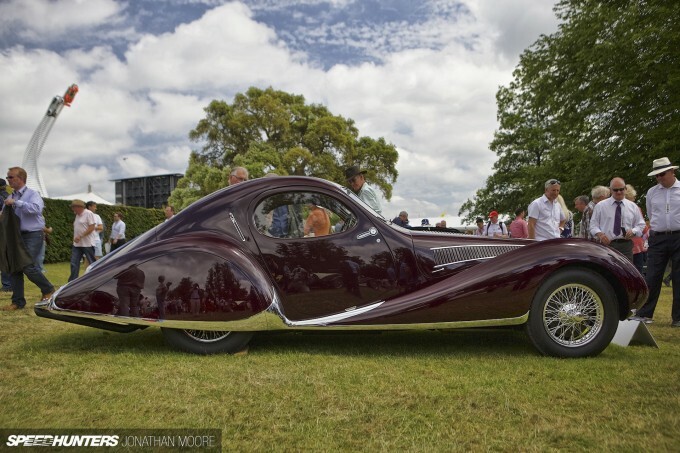 This was the appropriately named Sweeping Statements category, celebrating the lavish creations of Franco-Italian coach builders Figoni Et Falaschi. 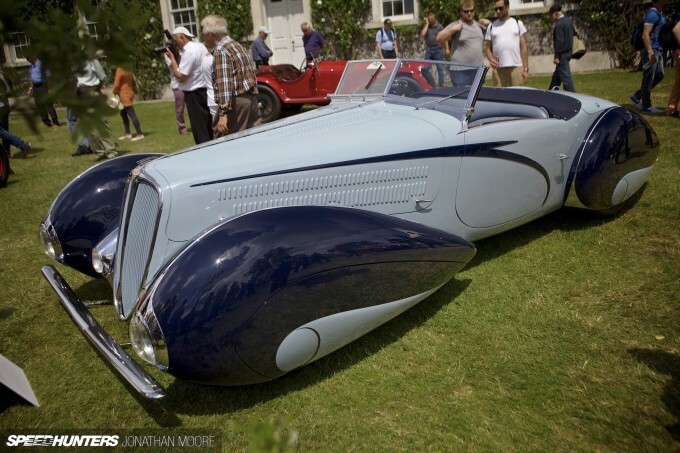 This is the absolutely beautiful Delahaye Type 165 Cabriolet – just six were built in 1939. What a counterpoint in aesthetic to the physical horrors that would hit Europe later that year. Designer Giuseppe Figoni’s style was heavily influenced by aircraft designs and the evolution of aerodynamic principles: huge swooping bodywork complementing the tapering bodies and thrusting bonnets. Fast speedboats were also all the rage at the time, so there’s definitely a nautical theme present. 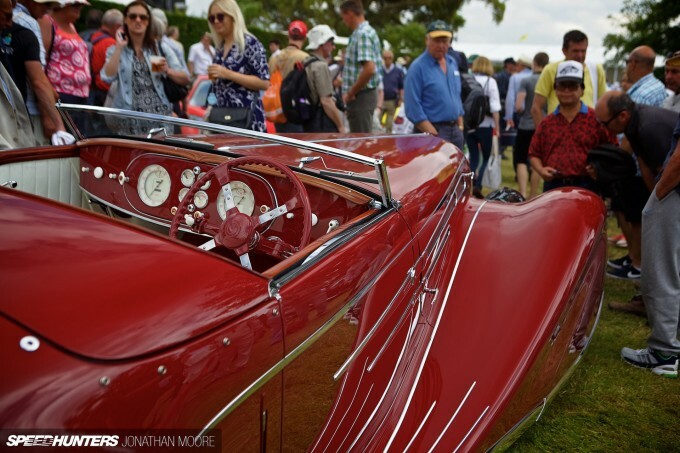 This car is another Delahaye, the jaw-dropping Type 135-M Cabriolet from 1937. Just six T165s were built; this one was saved by being impounded in New York following the outbreak of war. It was blasphemously retrofitted with a Cadillac engine before being restored and remarried to its original period V12. Only a trio of 135-Ms were constructed, this one being found up on blocks in Jodhpur in 1982, 45 years after it had been exported for a member of the Indian royal family. The Style Et Luxe judging panel included Apple design guru Jonathan Ive and Ferrari SVP of Design Flavio Manzoni. 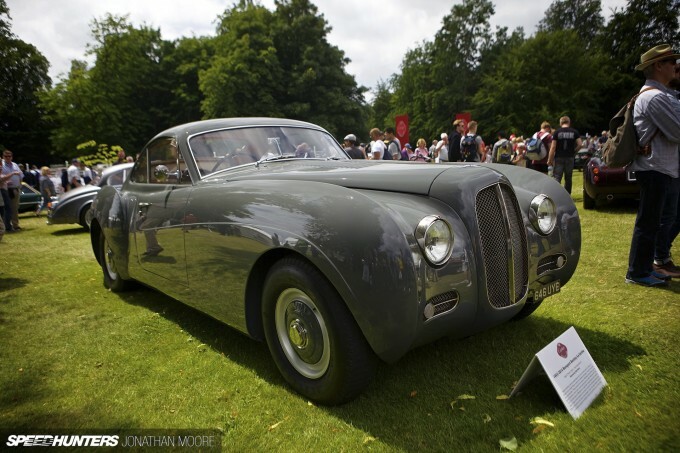 Unsurprisingly in my view, it was this car they choose as the one that epitomised the ethos of the event, the 1937 Talbot-Lago T150-C-S ‘Goutte d’Eau’, the Teardrop. That’s what most people get when they see it, I’m sure. This was the car to be seen in if you were a Hollywood star of the ’30s, as graceful and elegant as any who got behind the wheel. Inevitably, of a model that is in itself the definition of automotive beauty, this one had added history. 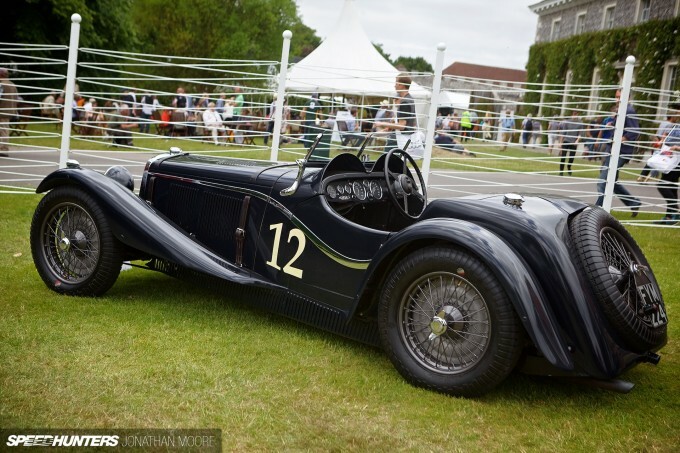 It was owned by Woolf Barnato, triple consecutive winner of the Le Mans 24 Hours in a Bentley between 1928 and ’30, and Lagos even raced at Le Mans. A trio raced in the 24 Hours in 1938, the highest place car finishing third. Incredible. Here it was, priceless and amazing, sitting in the open air in for us all to enjoy. That’s Goodwood. I seem to be in a phase of mild patriotic fervour, reminding myself (and therefore you) of the more positive past for British brands ravaged during the ’80s and ‘90s. Triumph are one such. My parents hared round London is hot Herald Vitesses, and this supercharged 1934 Triumph showcased both power and glory from of the company’s very early years. The lithe shape evokes the iconic Alfa Romeo 8C for good reason: the Triumph Dolomite 8C SS Corsica featured a supercharged 2.3-litre eight-cylinder modelled on the 8C-2300 Monza. Donald Healey (another recognisable name in British automotive folklore, specifically for the 3000 sportscar) raced one in the 1936 Monte Carlo rally, and was hit by a train whilst trying to beat it to a level crossing! Things were rather different in those days… It was also interesting to see such an early use of the Dolomite name, which is better known on the hot saloon of the ’70s. 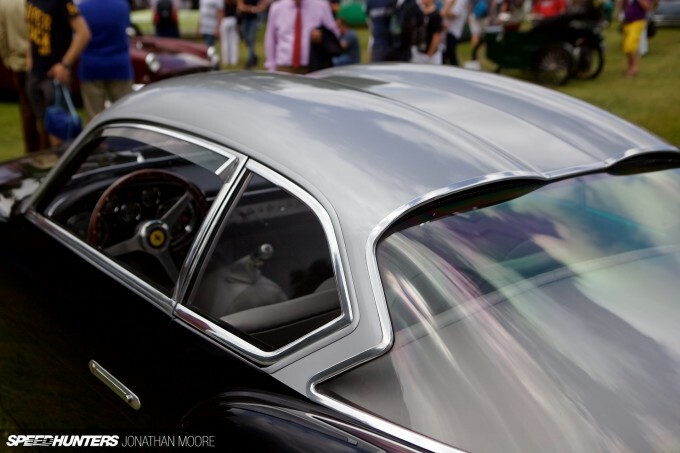 The bespoke coachbuilding theme continued with the Coach And Horses category, dedicated to tailor-made Ferraris of the 1950s and ’60s. Carrozzeria Vignale are perhaps lesser known than other famous Italian designers, but they were part of the great Turin movement of the ‘50s. 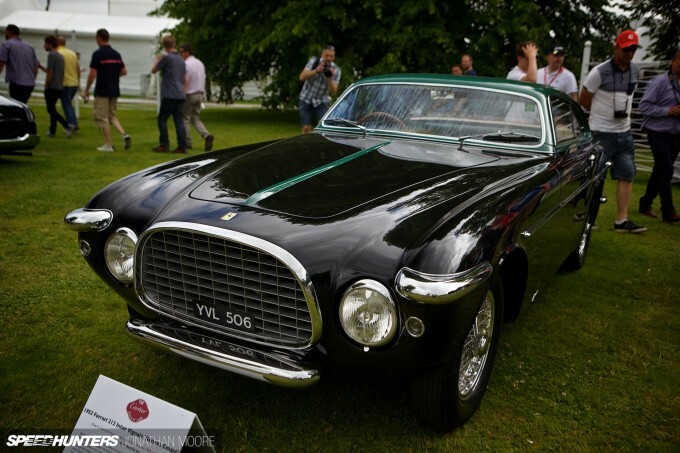 The Ferrari 212 Inter Vignale Geneva Coupé was based on the Ferrari 166 platform, featuring a growling 2.6-litre V12 with triple Weber carbs, pushing 170hp and showing its racer-for-the-road roots. 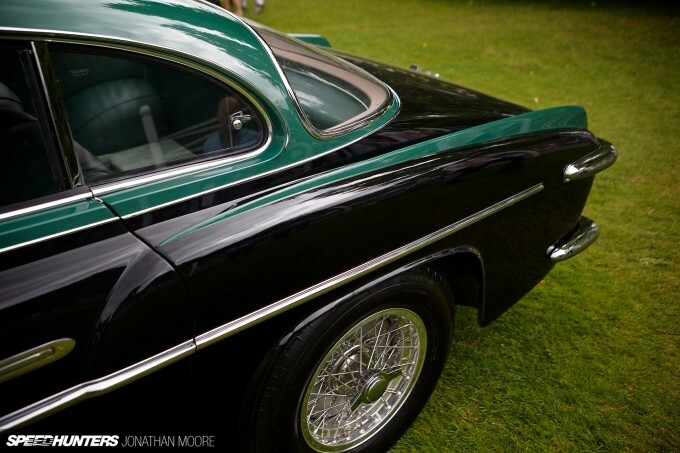 The refined detailing and green accenting define it as a Vignale Coupé, but each of the five cars they built were to bespoke specification. 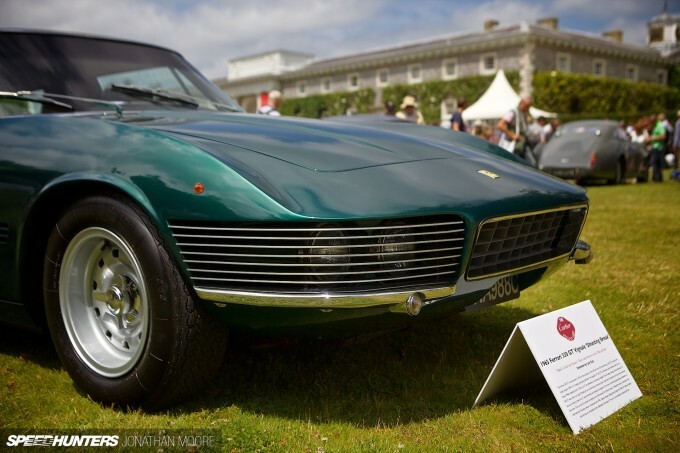 The design was penned by a man who’s every Triumph owners favourite Italian, Giovanni Michelotti, though this is part of the amazing period where different coachbuilders were commissioned to apply their own twist on the Ferrari 212 chassis, including Touring, Pininfarina and Ghia. The double-bubble roof on the next-door car gave away its design origins: of course Zagato were responsible. Surprisingly Zagato only built half a dozen Ferrari-based cars during the ’50s, of which five were 250 GT Zagato SWBs and just three featured the iconic roof-line. 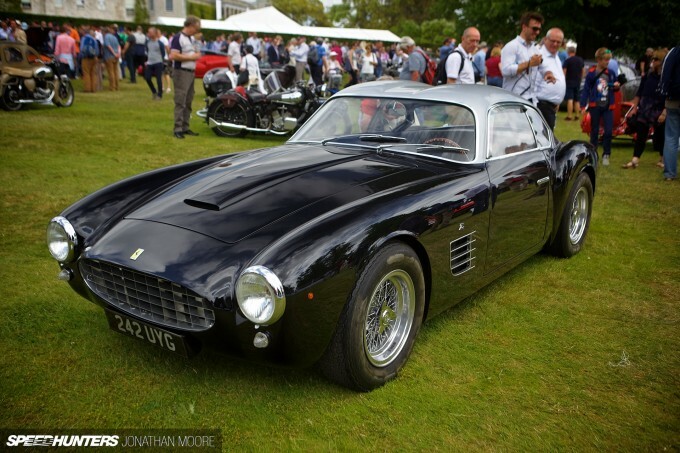 I always think that the nose of the SWB Berlinetta variant of the Ferrari 250 was in the minds of the Shelby Cobra designers – a car that was to become the 250’s biggest rival in the mid-’60s. 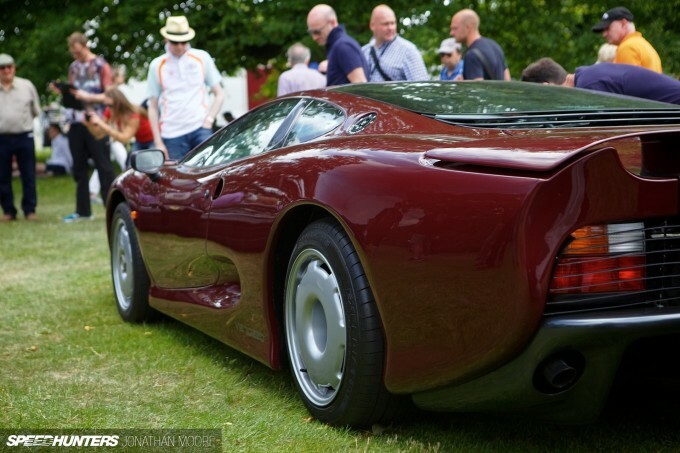 This example was rebodied in the style of 250 GTZ chassis 0537GT in the 1990s with the blessing of Elio Zagato. The nose of the 330 GT Vignale Shooting Brake is a classic of its time, with the slatted lights and the leading edge elegantly carried on down the high sides of the bonnet. 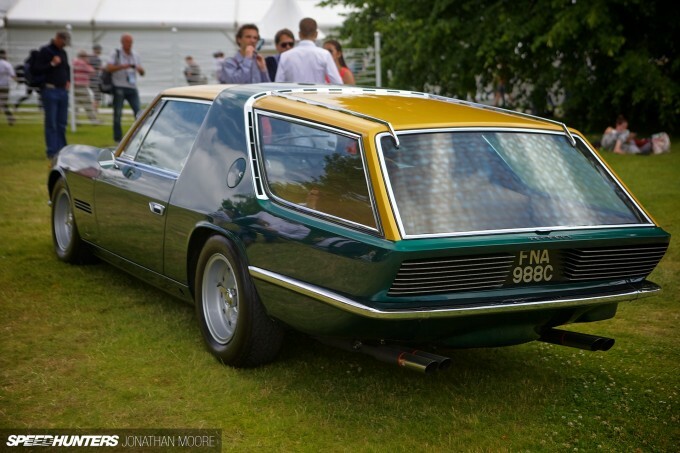 The back is maybe less fluid, but this is not just the only 330 Shooting Brake in existence but also the last car to be rebodied by Vignale before they closed in 1968. So modifying Ferraris is no new thing – but you have to be in a very special club to retain the Ferrari badge once you’ve put anything from Modena under the knife. 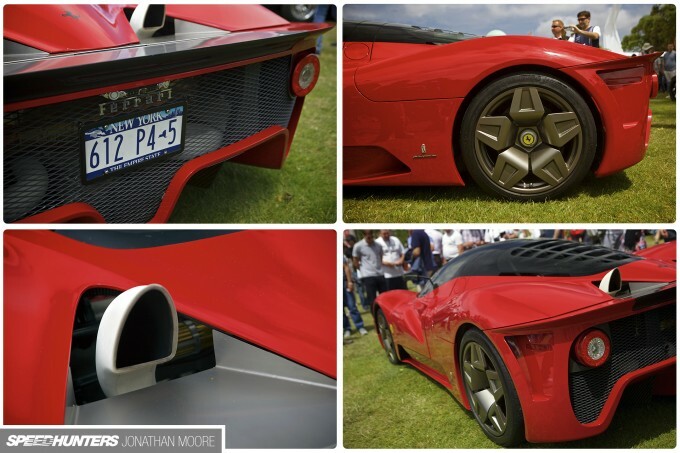 Helped by his connection with Pininfarina and general un-suppressable enthusiasm, James Glickenhaus managed just that with the Ferrari P4/5. In racing form it was beautifully brutal; in traditional Ferrari scarlet it was brutally beautiful. The P4/5 and these following cars were all part of the Modern Classics group, given the subhead of Improving Perfection?. Each had taken an iconic retro starting point and applied a modern twist; I’m not sure the question mark was required. 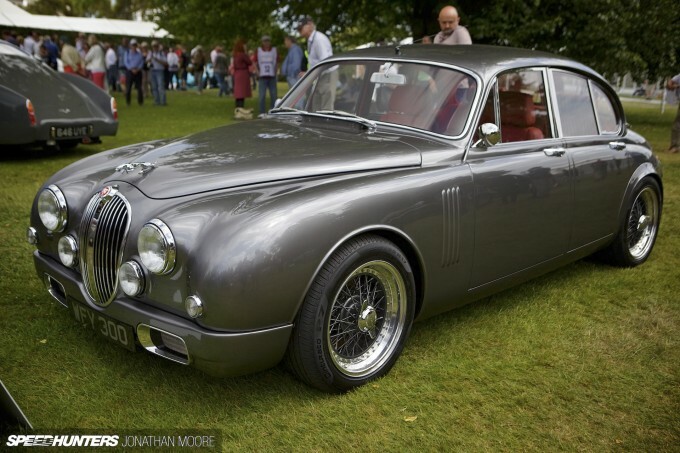 Jaguar’s design chief Ian Callum penned this reimagination of the 1962 classic as a personal project – it’s been so well received that it’s got a limited production run. 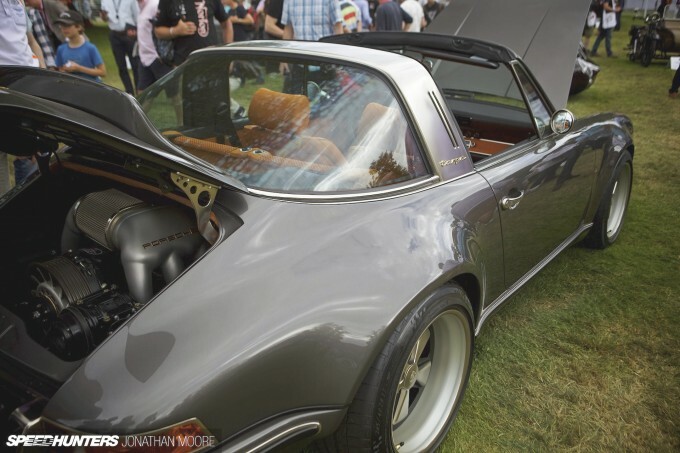 Singer’s 911s are closer in aesthetic to the originals, but still have such an obvious edginess. 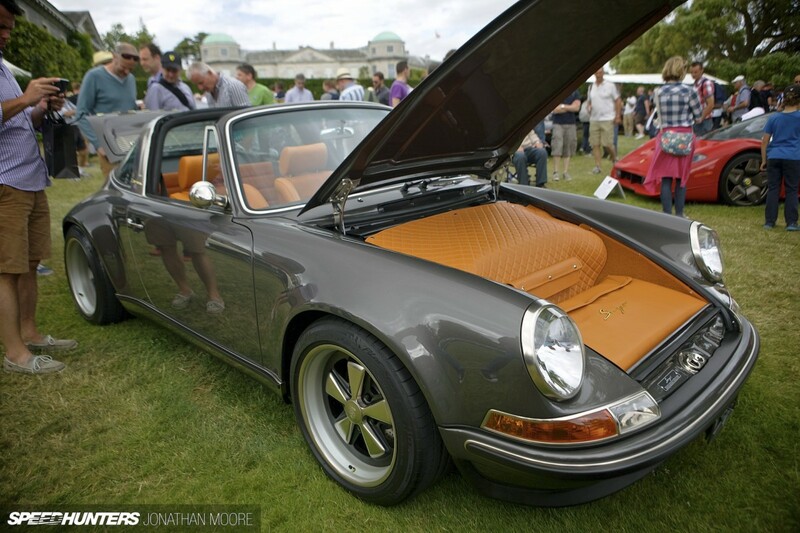 This Targa was stunning, with the orange leather interior carried through to the nose storage (and engine bay in fact) and all the little details that push a Singer apart from other 911s. The presentation of the reborn 4-litre, air-cooled engine out back (rebuilt by Porsche specialist Ed Pink) really was a work of sculptural art. You have to appreciate that for all the work, the engine and chassis numbers still match up. I think everyone in the UK appreciated the public debut for a Singer 911 on this side of The Pond. 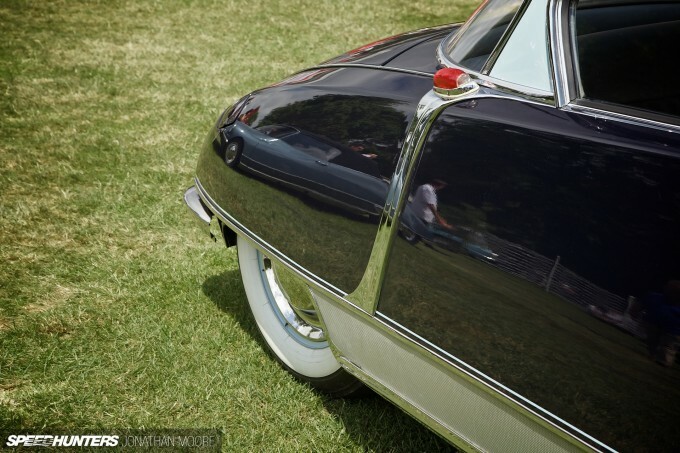 There was one corner of Style Et Luxe that was forever French, packed in with the unmistakeable shape of seven Citroen DS: the Goddess Of The Highway. 2015 sees the 60th anniversary of the launch of this groundbreaking car – it’s unreal that the tech-heavy, futuristic DS was released in 1955. The hydropneumatic self-levelling suspension gives it that ground-hugging stance at rest; a sci-fi hovercraft! 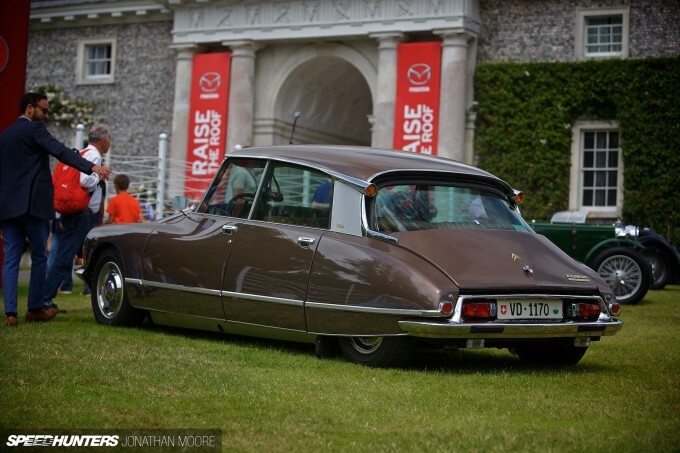 The seven cars at Goodwood highlighted the breadth of models that the DS covered across its 20 years of production. Carrossier Henri Chapron coach-built limited run models such as the Le Paris, with its art deco finishing, white-wall tyres in enclosed fenders and chrome detail. He also built the La Criosette Cabriolet, whilst the Pallas name came to define the luxury end of the DS brand. 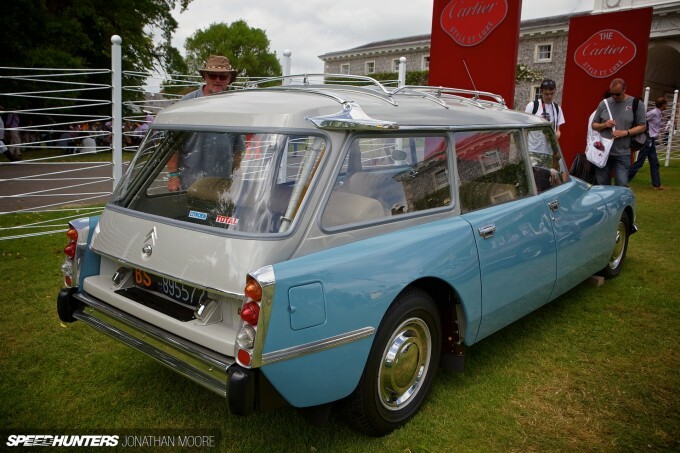 Finally, another one to belated add to my Shooting Brake story: the DS 21 Familiale from 1973. Stories weave their way around Goodwood. Drivers or marques can turn up anywhere you look, and there’s always a good reason. 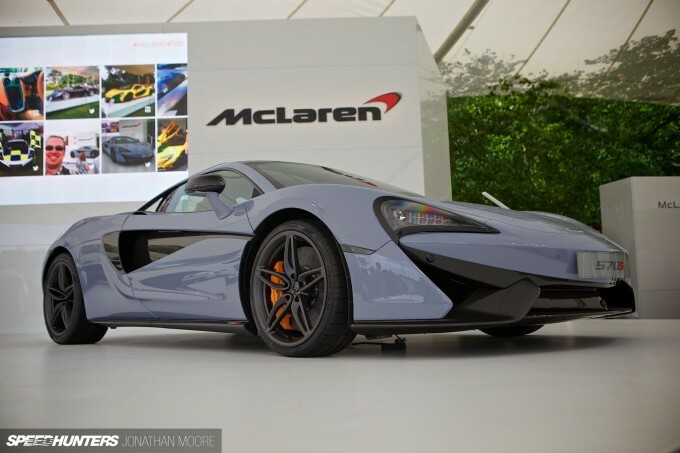 Nothing is random at the Festival Of Speed – it’s a case of joining the dots. 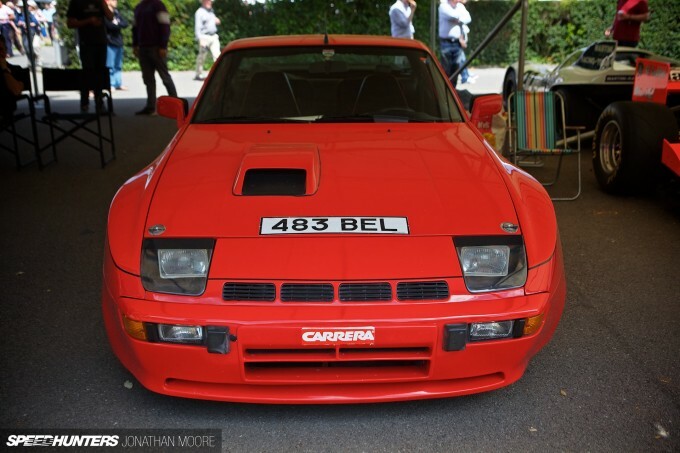 The number plate on this 924 Carrera parked up alongside veteran Porsche prototype sportscars was the clue. It was no regular 924, but the GTS given to Le Mans legend Derek Bell at the start of his factory career – and still driven by him. Another marque celebrating 60 years were French stalwarts Alpine. 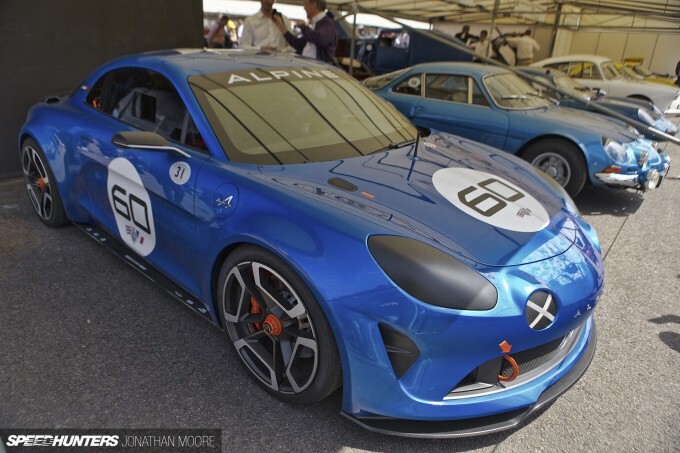 The Celebration had its UK preview at Goodwood, and takes a lot more cues from the classic A110 Berlinetta than the more recent A110-50 concept. What will be the actual car that relaunches the Alpine brand though? 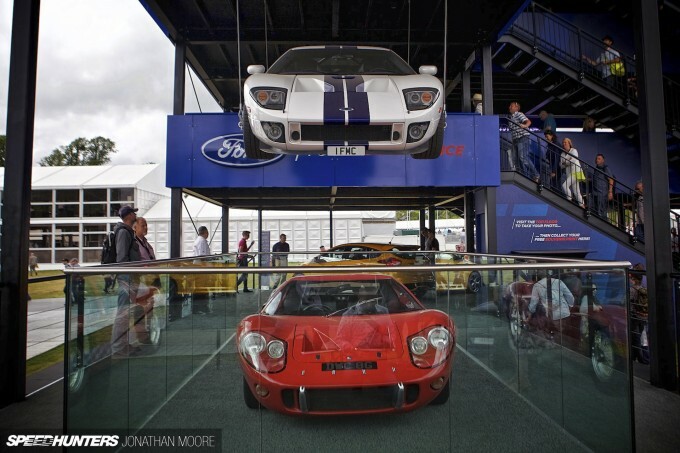 Ford trailed their new GT launch with the vertical pairing of its predecessors. Having nervously witnessed manoeuvring a Koenigsegg One:1 into position onto a Goodwood stand last year, this display scared me to death! Lotus’ dramatic new 3-Eleven is an even more muscular supercar slayer than the 2-11, and picks up where that model left off. It’s the quickest Lotus yet made in the modern era – and also most expensive, although you could still buy two basic models for the price of a McLaren. The 450hp, supercharged 3.5-litre V6 sits in a car which only weighs 900kg – hence the face-melting performance it promises. 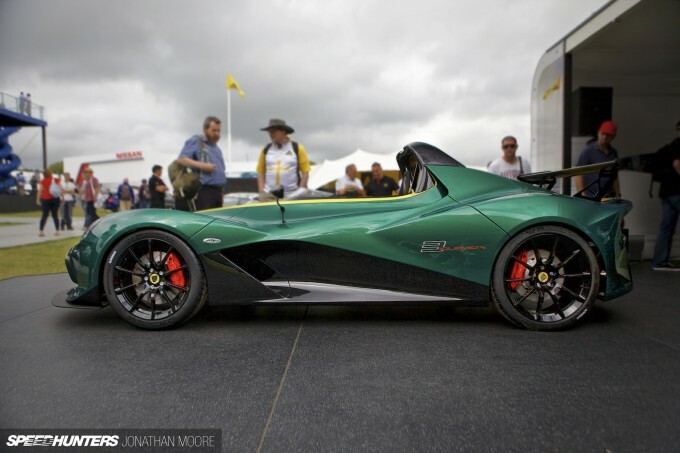 Lotus reckon it’ll be on par with the modern slew of hypercars around the Nürburgring. 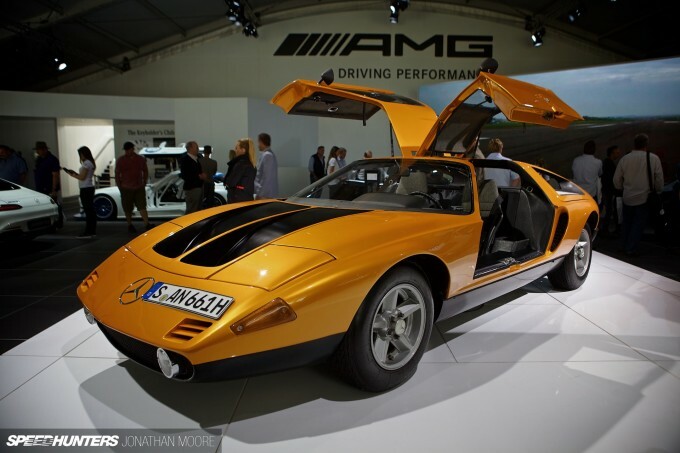 Finally, another look at Mercdes C111 prototype which took pride of place in the huge Mercedes-Benz structure. It’s one of the very small number of prototypes made, mounting a 3.5-litre V8, although the original show car from the 1969 Frankfurt Motor Show actually mounted a Wankel rotary! 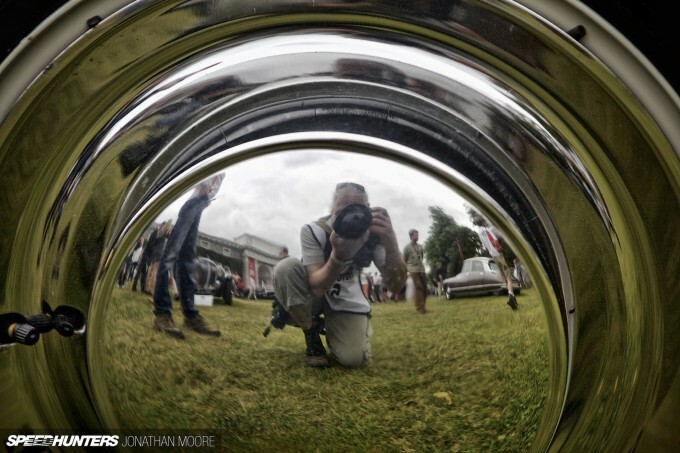 Reflecting on Goodwood is always difficult, especially if time was limited. You really need the full four days in order to get the best out of it. What to concentrate on: the applause of the crowd as the cars smoke their way up the hill, the silly number of famous drivers who almost litter the paddock, the ultra-rare and beautiful road cars that come out to play? I didn’t even make it up the hill to the rally stage this year! Click, move on: at the Festival Of Speed, life speeds by – it’s up to you to keep up. 3 Italians? Lamborghini yes. Ferrari yes. Bugatti though? Might be forgetting the French (can't blame you). Fantastic pictures. Great writeup. 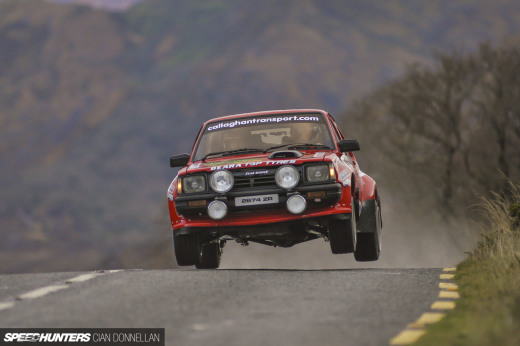 Speedhunters knocking it out of the park this week! Michelin tyres, Aerospatiale carbon monocoque and Alain Delon as a supporting star can't hide that's a pure and proper italian "Machina"
Fabrice Carpentier Broswick Ah... Italian French. Haven't seen that combo anywhere else. Would you call a Lamborghini German? A Jaguar Indian? A Dodge, Ferrari, Alfa, Jeep, or Maserati French? Bugatti is French, and always will be. Just as a Ferrari is quintessentially Italian, a Bugatti is part of French heritage. And the designer argument is completely mute. Is a 370z American because an American designed it? No. The problem with good wood is the fact that if you went there once you would never want to miss another one because it changes so much every year. 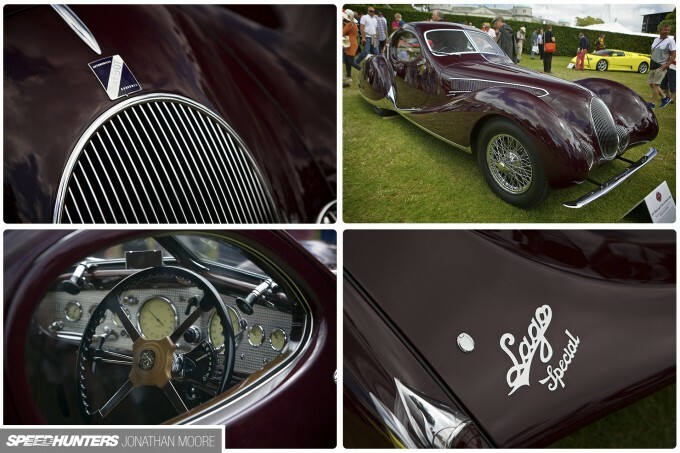 '1937 Talbot-Lago T150-C-S ‘Goutte d’Eau’, the Teardrop. That’s what most people get when they see it, I’m sure. Chris 'Haffy' Hafner Hehe – you can't beat a B&B meme! Great coverage! Would love to attend this show someday, looks like such an awesome mix of automotive goodness. Really digging the Honda display! 2) AC designed it and Shelby converted AC Aces to Cobras. PhilMaurer While you may be correct, I am sure you can be polite about it? This site is free, and is run by people who have an undeniable enthusiasm for machinery. I too cringe at the general lack of basic knowledge sometimes, but you gotta let it go dude. What's the alternative? No Speedhunters? Run your own site? "please return your ability to write about cars"?? Please link me to the perfect accumulation of knowledge on your automotive website for review. Considering the broad spectrum of cars that Mr. Brooks covers, this small error means nothing. You sir, are rude as hell. No, Shelby did not design the AC Ace that became his Cobra. But he did have a design team, they did review other models in addition to their own designs, and Jon Brooks never said that the Ferrari (dude he even gave the code) became the Cobra. So YOU sir, are wrong on that point. As you said, "please return your ability to write about cars". Or should I ask you to remove that rather large foot from your gob? D1RGE EXE PhilMaurer Seriously?! The AC Ace is of course the base for the Shelby car, but it's the wide-body Shelby I'm comparing it to, not the much more svelte, lightweight Ace. As with the Group 44 E-Type we're about to feature, I'd say Group 44 'designed' that. So, I'm sure you can deal with a light comment comparing the basic aesthetic and nothing else. Such a cool insight and awesome write-up! But Volkswagen OWNS Bugatti now. Just like Rolls is owned by Germans, Jag is owned by Indians, and Vauxhall is owner by Americans. What is your political point in this argurment. I doesn't matter where a car comes from nowadays. Just love it or leave it alone. I'm making no political statement. I'm rather saying people take pride in their countries cars. Like sports teams, cars can be a point of national pride. Hell look at the Americans, Chrysler/Dodge/SRT may no longer be owned by Americans but the Hellcat is still a quintessentially American car. It might not be perfect but neither is their Olympic Hockey team and they still think they could beat Team Canada. Nationalism is important(to an extant). It was a good article though. I can see where you're coming from. But most people don't know the actual origins of their cars. Thus, don't care. I, personally don't care where it came from nor who or what owns it. I only care for its potential. And I see where you are coming from. For a Hyundai, Kia, Infiniti, etc... that makes sense. But with Bugattis you are buying into the name/history/racing pedigree just as you would be if you bought a Ferrari. Hell, Look at 85% of the special edition Veyrons. They were all throwbacks to their older cars and traditional racing colours. But what your pointing out is that if Luis Vitton did a special edition handbag, the "Cruella DeVille." it should justify a premium of a few thousand more over msrp. Just because "He" said it is a "French" national treasure. No. What I'm pointing out is that Bugatti has earned the prestige. Personally I'm no fan of designer handbags but I know if the bag was made it would be bought for whatever price it was being asked for. Rich people have money to blow, whether it be on historical multimillion dollar cars or exorbitant purses. What prestige. It is just a namesake from 100 yrs ago. VW brought back that name and slapped a hefty price tag on it. It's like me trying to sell snake oil with a price of $1000 an ounce to rich people. There is no prestige. Just a very expensive car. I suggest you do some research before you make a mockery of yourself. A mockery. Sorry. You already did that. All you're doing now is Badge Whoring. All of my families cars are Mercedes, Audi, and BMW. I was the only one to choose a Chevy. So I believe you have made a fool of yourself in that department. Oooh a Chevy. What does that have to do with anything? Are you just trying to impress me by saying your family is well off? And how in the hell does that make me a fool? As if I'm some brand loyalist that only buys Bugattis? Ha! I'm the opposite of a brand loyalist. Oh, and when the Volkswagen group bought Bugatti they were not buying the badge. They bought the company. It did not erase the history of the company. I'm no Bugatti fan but I understand the significance of a brand. I don't want to take up anymore of this comment section with a one sided hiss fit do I'll leave it there. If you truely believe in "prestige" of a brand, then what if Ford, Chevy, or Chrysler brought back the Duesenberg or Packard namesakes? Does it command a hefty premiun too? What then? I'll leave you with this to think about. Thank you for the invigorating debate today. I see what you are saying and I think you are missing the point. You need to forget about the name as being the name. The name is a signifier for the brand, the brand is a signifier for the quality. 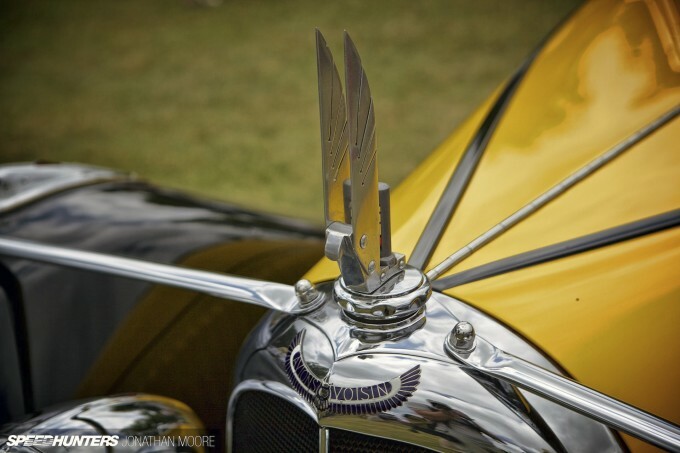 A new Duesenberg would be built on the same vain as the originals. One of a kind, custom built machines. Demanding the money that is equal to its value. Just as a modern Bugatti is is similar in quality and spirit as the originals. The old Bugattis were extraordinary cars that had no equal. The Veyron isn't worth 2 Million because it's a Bugatti, it's worth that because it's a car that has no equal. It is an exceptional piece of equipment. It's all an opinions game here. Neither one of us is going to achieve anything. Again. Thank you for the invigorating debate. Broswick Actually VW bought just a brand. There has been three different Bugattis. The original that was founded by an italian in Molsheim in Germany which later became part of France after a bit of a war. Then there was Bugatti S.p.A that produced the EB110 which was very much of an Italian effort as it was built and designed in Italy, Modena to be precise. The third and last one is this Ferdinand Piech's dream car that is actually built in Molsheim in France, but in essence represents German engineering at it's finest/worst. You can decide yourself if those cars represent any nationality. Oh. I know it's history. But the way I see it Bugatti is as French as Napoleon Bonaparte. An Italian who out of choice became a Frenchman. The issue is paid marketing staff to pimp a video game franchise vs a true car enthusiast. Pretty much basic knowledge that Shelby did not design the Cobra... You cannot argue that. Additionally alot of cars look the same when they are produced for the same reason at the same time. Look at a Honda Insight verse a Prius. Honda did not steal the design, they had the same packaging issues as well as same aerodynamic modeling data and ended up with extremely similar designs to make a aerodynamically clean car with a hybrid drive train with useable passenger room and the heavy batteries located as low as possible. Its like people that say the 240z stole from Porsche or the E Type.. Then Porsche had to have stolen from MG then, who stole from xyz... If that is the case then the Daytona clearly stole from the Toyota 2000gt. I'm just sick of paid writers for a marketing driven website that are not really truly versed in cars. I'd love to go to a car show like that. I just wish we had something like that in New Zealand, the older luxury cars combined with the older more affordable ones such as the funny citroen above and the Porsche 924. Re the guy saying speedhunters staff are paid marketing pros hired to pimp a game franchise.. maybe loosely. I for one read Speedhunters to learn more about car culture and be wow'ed by the beautiful machines. I haven't played NFS since I was a teenager and probably won't again, I don't see how period-correct and well-tuned vehicles can reduce the SH staff to mere pimpers of an arcade racing game, sure they work for EA but to belittle them like that is wrong. JohnVang1 Actually an Italian businessman, Romano Artioli brought the Bugatti nameplate back. 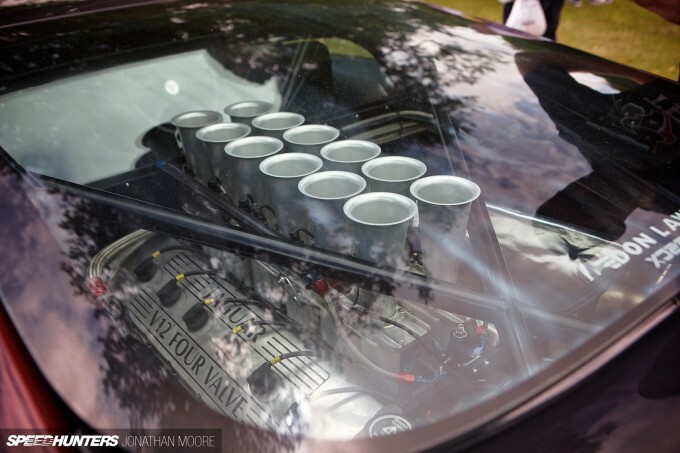 It was then sold to VW when financial difficulties arose after the EB110/EB110 SS had been created. I personally think the EB110 is much cooler than the piggish Veyron. of course, imho. I too believe the EB110s are way better than the Veyron. It just bothers me when there are fanatics out there boasting a brand or brand image. I did research Bugatti's history. I didn't want to go to a gun fight with a knife. 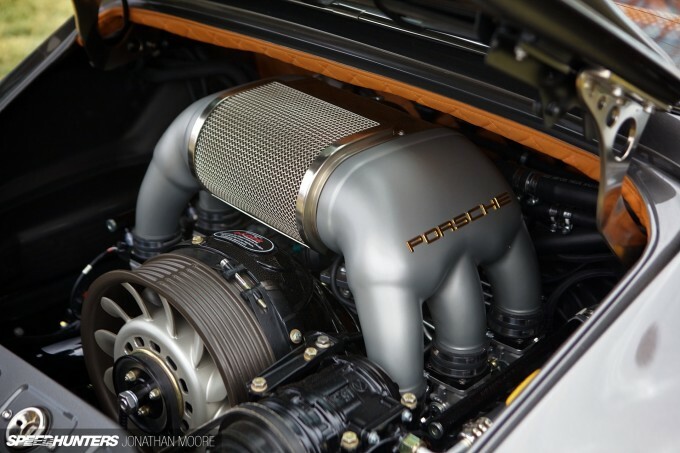 Where do I sign and present my left testicle to own a RHD Singer 911? That Alpine has my full atention! I've loved the originals for years and that looks like a tasteful blend of the style without being to overtley retro - very tasty!